A member of the Ekiti State House of Assembly representing Emure State Constituency, Olanrewaju Olayanju , on Thursday announced his defection from the Peoples Democratic Party to the ruling All Progressives Congress . Olayanju , at a press conference in Ado Ekiti , the state capital , attributed his defection to alleged division in the PDP . He added that the failure of the party ’ s leadership to carry everybody along and “betrayal of Ekiti people ” informed his decision to dump the opposition party. A former Governor of the state, Ayodele Fayose ; and the Senate Minority Leader , Biodun Olujimi , have been laying claim to leadership of the party, thus causing division . Olayanju , who was one of the PDP lawmakers loyal to Olujimi , said there was no way he could continue in the party, especially as Fayose was openly campaigning against Olujimi ’ s re- election. He said , “I have reflected deep on the whole situation and I have informed my constituency that my interest and that of my people can no longer be achieved in the PDP . 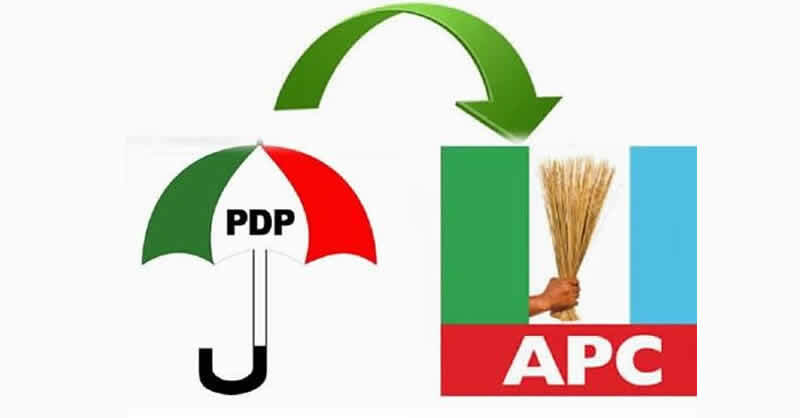 “ The PDP is now in disarray with no leaders to rally the party together. The leaders have destroyed the party through naked use of powers . The party is factionalised and some leaders are saying members should vote for opposition candidates.